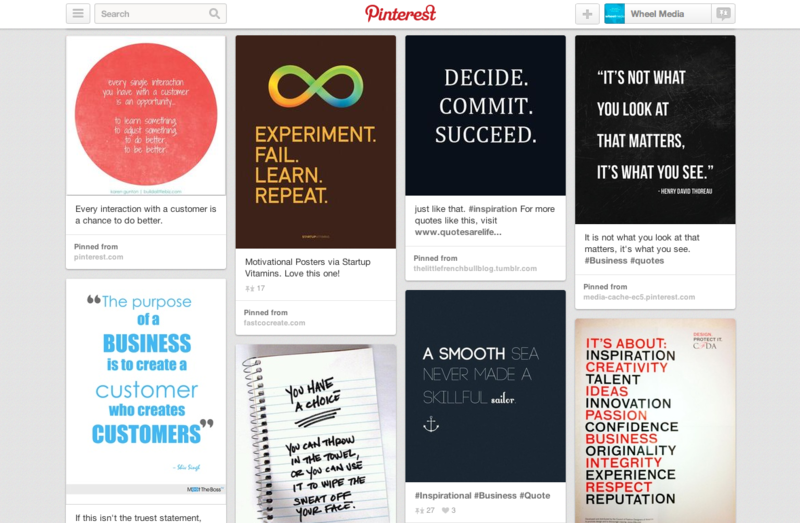 It’s no secret that Wheel Media loves Pinterest… And we strongly believe in sharing the wealth! Take a look at our boards to enjoy motivational quotes, SEO & social media inspiration, and other nuggets of wisdom and beauty! Visit us to feast your eyes. If your business hasn’t already launched your Pinterest presence, then turn to Wheel Media to get your boards booming. Get in touch, and we’ll take care of the rest!